RallySport Magazine had a chance to catch up with David Holder before this weekend’s Otago Rally. 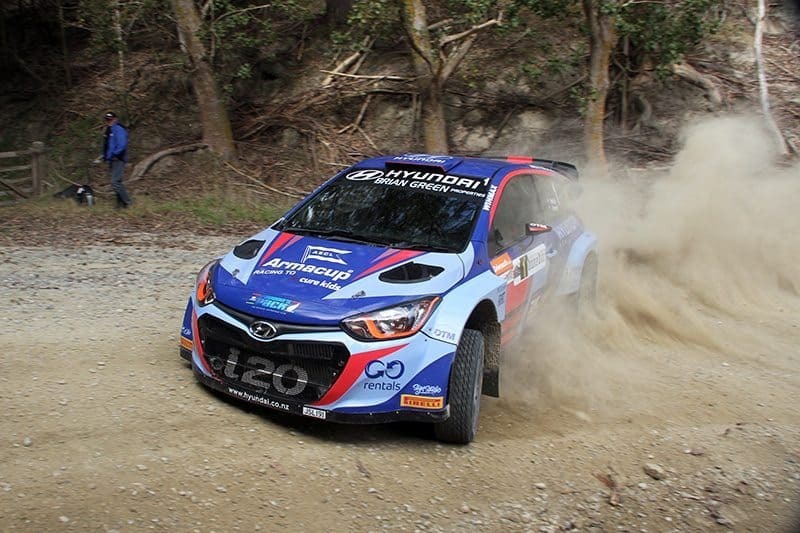 The former NZ Rally Champion is tackling the Junior World Rally Championship, but will be sitting in the co-driver’s seat for the first round of the NZRC. Matt Whitten asked the questions. 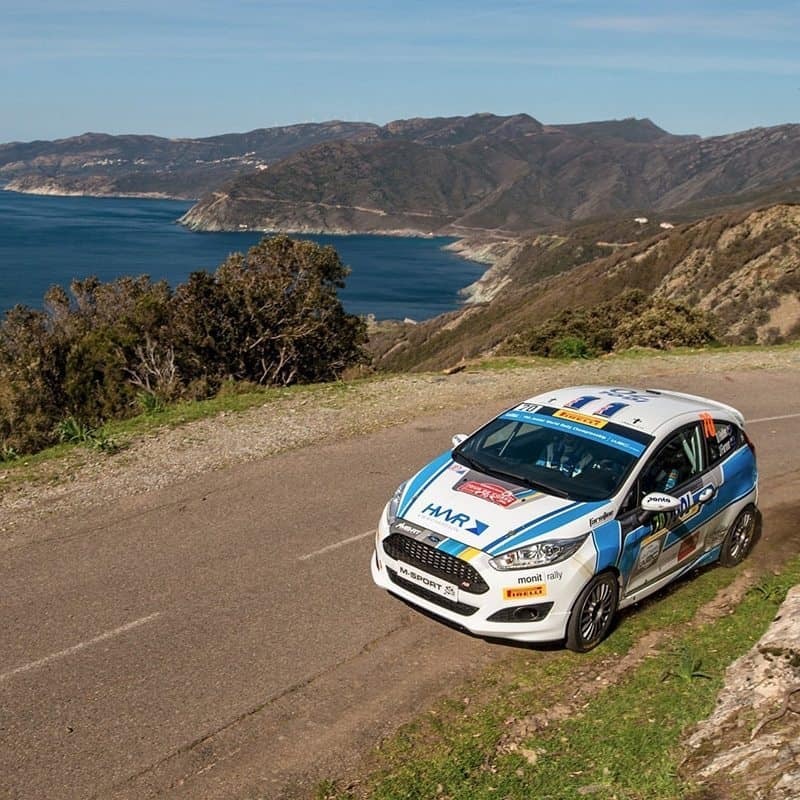 RallySport Magazine: You’re a couple of events into your first Junior World Rally Championship (JWRC) season. How have you found the change? David Holder: Honestly, it’s a pretty massive step up, as you can probably see from how we’ve been going. Sweden was about going there and getting everything worked out. We got stuck in some snow banks and everything else. I’ve just got back from Corsica last night, and it was my first tarmac event, so there was lots to learn from surface changes. It’s pretty cool, and it’s real bucket list stuff. After JWRC events on snow and tarmac, David Holder is looking forward to getting back on to gravel in Portugal. RSM: How have you adapted to the front-wheel-drive Ford Fiesta R2? DH: It’s been a while since I’ve been in a front-wheel-drive, and the R2 is a wee bit different to what I’ve driven in the past, but it’s coming back to me. You’ve got to drive them really fast around the corner, or you just bleed time, so I’ve just been trying to get my confidence back up and focussing on doing that well. RSM: At the Shakedown for this weekend’s Otago Rally, we have already seen some Sweden-like conditions. How was your snow rally experience in Sweden? DH: I don’t think anyone’s gonna call me a snow expert anytime soon! Yet, going into Rally Sweden with no experience on snow, I’m 100% more experienced than I was before the event. It’s all about the tyres on snow, and I don’t think there’s many Sweden experts going around this part of the world. RSM: You’re sitting in the silly seat this weekend, beside Scott O’Donnell in a Toyota Corolla DX. Are you looking forward to that? DH: I actually am, strangely. We are not doing notes or anything, so I’ll just be looking out the windscreen and enjoying the ride. Scott wants a wee bit of driver training during the event, so we will find out whether I’m a good teacher or not! But its nice just to be back in New Zealand to relax and enjoy catching up with some people, having some good times on some great roads. RSM: What stage are you most looking forward to this weekend? DH: The thing is, Scott said that I can drive a couple of stages if I want, so I’m tossing up whether I ask to drive Kuri Bush. We will see. I can sort of remember about half of the stage, so it’s probably the best one to do with no notes. RSM: Lastly, what are your aims for the remainder of the JWRC season? DH: I think a big one for us is getting to every round and finishing every round. That will be a pretty massive achievement for us as it is. Financially it’s a huge commitment, and we are running around chasing funds between rounds at the moment, so for sure, we want to finish every round. On top of that, now we are into the gravel stuff we would like to be a bit more competitive. Hopefully we can get a top five in Portugal and then aim for a podium after that. Support David Holder’s WRC campaign HERE.